The latest developments from the South, demonstrate the growing ability of the reconstructed military and political resistance Patriots. The flame of resistance is again powered and on, the intellectual direction of the resistance combines a fruitful balance of the objectives achieved in its unexpected eruption of regained conscious, reborn from the hunger and longing to return to Libya’s dignity and sovereignty, clean the nation of mercenaries and traitors, make tactical moves to protect civilians and embrace new troops loyal to the newly formed provisional Jamahiriya army. Senior Green High Command warns all to maintain important security precautions and measures to protect the mujahads of the Green Resistance and all the people in general. High Command recommends Resistance fighters, reporters, analysists to maintain a careful use of social, mobile or any media to avoid forces and logistics being detected by the invading enemy supplied by Israel through the West with high-tech devices to detect resistance. It recommends people to avoid conflict areas and not to become cannon fodder since the enemy is only to be engaged in an appropiate, planned and systrematic manner by members of resistance. The people, the supporters of the green resistance and it’s fighters must be patient and wait for the time when the Green Resistance can convene from the shadows, emerging into the light of day as fully armed and ready divisions. According to reports reaching us some tribes of Zintan have agreed to a temporary cease-fire, avoiding unnecessary conflict with NATO rats who want to engage the Zintan. Naturally the Zintan want to repel attack by mercenaries from Misurata and Libyan ‘army’ servile evil slaves of the enemy known as NATO in any area of ​​the South. This agreement allows us to avoid further bloodshed of civilians and their important electrical and water facilitates in favour of a more intelligent and targeted realignment of Resistance into new methods of battle scenarios. 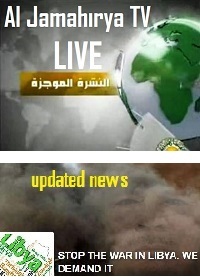 The Libyan Jamahiriya resistance has managed to establish several bridges and advanced lines, recovered abundant war material which has now been moved into secret and safe locations, has removed hundreds of foreign mercenaries and captured dozens of them in the Southern areas facing a minimum loss of Green Resistance fighters. Our disciplined forces have demonstrated military superiority on land while facing up to constant aerial bombardment by NATO and Qatar fighter planes. Our plan is to use our knowledge of the area on the ground to intelligently stake out our analysis of any military movements as the only way to achieve liberation by Libya’s armed insurrection against overwhelming foreign assets. the Jamahiriyia forces media’s objectives are once more being achieved in all corners of the world as exiled Libyans, faithful internet support fighters and millions of people have returned in the last few days to talk about the suffering of the Libyan people and their destruction in the hands of a de facto occupation government in Libya. Resistance calls on our good friends the non-Libyan bloggers to once more take up the call to arms on their keyboards and youtube channels and muster support and awareness of the struggle for Libya which never died but just went underground to restructure and await the time when Libyan fools who bowed to the NATO lie would once more awake to their criminal usage by liars, traitors and thieves. Copy all videos and spread. And we call to the journalists and politicians who stood for us but now are silent fearing our demise. Demonstrations of solidarity with the Resistance in dozens of Libyan embassies around the world have been observed some of whom have even raised once more from their rooftops the Jamahiriya Green Flag. 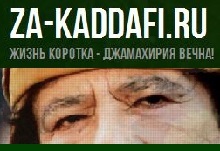 The struggle of liberation of Libya is now irreversible! 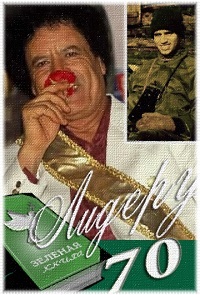 Peace, mercy and the blessings of God are with men loyal to the country and the Libyan Jamahiriya. * Benghazi: on Thursday afternoon, the son of ‘Ali Bouchmadh “was kidnapped, the father said to the troops to search for him. Witnesses say of this traitor’s son that he was captured as he left the University of Benghazi by people traveling in two white Toyota cars that fled to an unknown destination. * Now there is fighting in Al Sabri, cars on fire, the smoke rising over the city of Benghazi. * Fighting among army troops and bandits of Al Qaeda at the main entrance to the University of Benghazi Gariyunis, we report the shot down an unmanned drone helicopter. 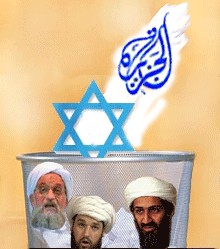 * News about the presence of al Qaeda’s Ayman al-Zawahiri in the field Battalion February 17 in Benghazi that is being bombarded by helicopters misnamed Libyan army. * Tripoli: A chief of staff in the Libyan ‘army’ has been killed in clashes with gangs south of Tripoli, Libyan security sources said. Traitor Karah Mohammed died Sunday of a gunshot wound to the head, after taking part in an offensive against the terrorist gangs who had been stealing cars and blocking roads in the Rishfana area on the outskirts of the capital. * Today it was announced that the Deputy Prime Minister and Interior Minister Sadiq Abdulkarim Abdulrahman survived the attempt on his life in Tripoli. “Gunmen attacked and his car was riddled with bullets,” – said Deputy Interior Minister Sayed Al-Bahloul. Attack occurred when the minister left the building complex Dawa Islamiya Al-Falah district in Tripoli, near the main road to the airport. According to the security service in Tripoli, he only survived because his car was armored. *Bands of armed mercenary “security” have entered Abu Salim and are abducting all young people and their parents, humiliated in the presence of women and children, these NATO criminals do not respect the sanctity of the home. All hostages are taken to a concentration camp. The families of Abu Salim, are angry and full of pain wondering why we had our people and our brothers, the sons of Abu Salim abducted. 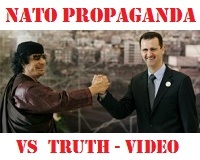 Their only crime of their fathers, mothers and children is staying true to the leader Muammar Gaddafi and opposition to colonialism and destruction committed by NATO against Libya. *This shameful act shows their fear the puppets of NATO to the new popular army libration is parallel to the Libyan Jamahiriya. * Armed militias in Tripoli had hijacked Libyan Justice Minister Salah al-Mirghani. *Sebha: Large Libyan resistance patriots fighting radical Islamists illegally occupying their country, are having great victories against evil. 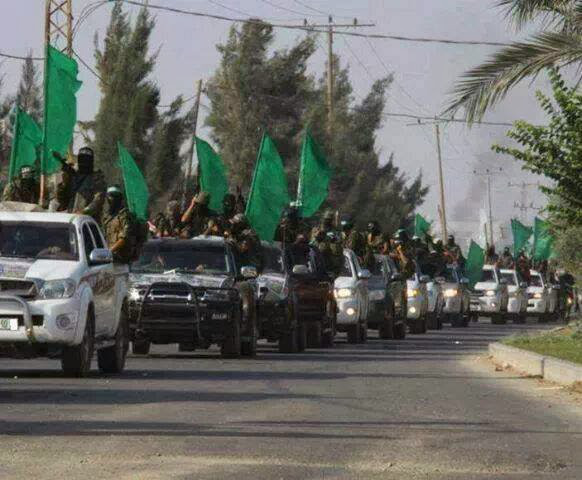 Today a convoy of over 100 vehicles (reinforced) of these criminals was ambushed and destroyed about 70 km from Sabha. The popular resistance is strong and their voice is strong for all Libyan patriots. 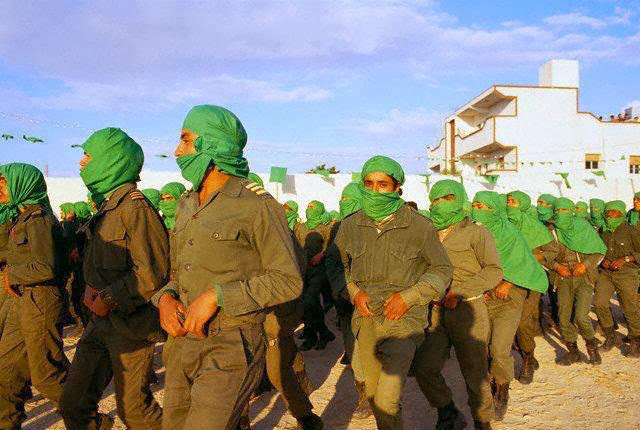 *Sabha and the tribes of the southern half of Libya announced the emergence of a parallel army provisional the Jamahiriya People’s Resistance. 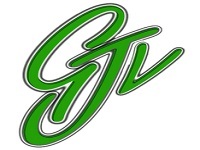 This entry was posted in + All - Archivio, Green Libyan Army, Green Resistance, Resistance, Resistance aginst OTAN, Uprising, War news, War Resistance News and tagged Green Libyan Army, Green Resistance, Resistance, Resistance aginst OTAN, southern libya, uprising, War news, War Resistance News. Bookmark the permalink. NIECH WALCZĄ !!! DO OSTATNIEJ KROPLI KRWI !! NIE MA LIBYA !! !BEZ RDZENNYCH LIBIJCZYKÓW !! KRAJ BEZ NARODU !! TO JAK DRZEWO BEZ GAŁĘZI !! BRAWO ! !GREEN LIBYA =FREE LIBYA !! !